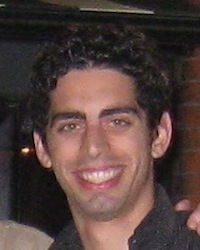 Dr. Pesce is a sports medicine and internal medicine physician who practices in Buenos Aires, Argentina. He earned a BA and MD from Universidad de Buenos Aires. He is a founding member and past-president of the Argentine Society of Mountain Medicine and has worked extensively with the Parque Provincial Aconcagua rangers and physicians. He has authored five scientific articles on Aconcagua. 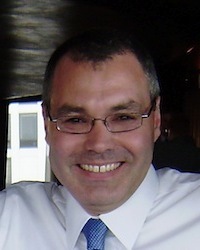 Dr. Lazio is an emergency physician who practices in Madison, WI, USA. He earned a BA from Northwestern University, an MD from the University of Iowa, and completed residency training in Emergency Medicine at Northwestern Memorial Hospital, Chicago. 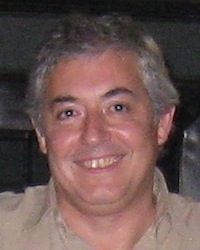 He is fluent in Spanish and has lived in Spain and Guatemala. He is an avid mountaineer, having climbed Aconcagua [22,841ft], Bonete [16,417ft], eleven 14ers in the continental US, the two highest peaks in mainland Spain, and volcanoes in Guatemala and Italy. 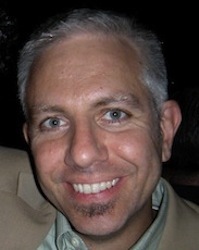 Dr. Lazio has authored multiple scientific articles, including four on Aconcagua. He is a candidate for fellowship in the Academy of Wilderness Medicine. Dr. Van Roo is a pilot, flight surgeon and emergency physician who practices in Madison, WI, USA. He earned a BA and MD from the University of Wisconsin and completed residency training in Emergency Medicine at Northwestern Memorial Hospital, Chicago. He is an avid mountaineer, having climbed Aconcagua [22,841ft], Bonete [16,417ft], and eleven 14ers in the continental US. 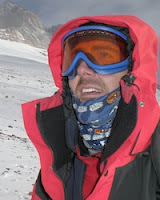 Dr. Van Roo is the author of multiple scientific articles, including four on Aconcagua. He is a candidate for fellowship in the Academy of Wilderness Medicine. 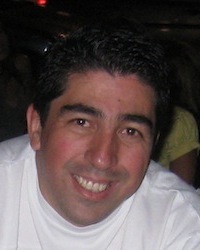 Dr. Rogé is a high altitude medicine physician and neonatalogist who practices in Mendoza, Argentina. He earned an MD from Universidad Nacional de Cuyo, completed residency training in pediatrics, and fellowship training in neonatology. He is Director of the Aconcagua Medical Service, President of the Andean Association of High Altitude Medicine, and Member of the Argentine Society of Mountain Medicine. He is an avid mountaineer and has summited Aconcagua multiple times. Heber Orona is an accomplished mountaineer and motivational speaker. He was the first Argentinian to climb Everest without oxygen as well as the first Argentinian to climb the Seven Summits. He has climbed Aconcagua more than 25 times on multiple routes including the South Face, more than twenty 6,000m peaks, and more than fifty 5,000m peaks. He is the founder of Aconcagua Trek, which provides both certified mountain guides and expedition support and is based in Mendoza. Dr. Courtney is a researcher and emergency physician who practices at Northwestern Memorial Hospital in Chicago, IL, USA. He earned a BA from Arizona State University and an MD from the Baylor University. 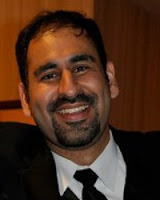 He completed residency training in Emergency Medicine and a research fellowship at Carolinas Medical Center. His research primarily focuses on the diagnosis of pulmonary embolism. He is the Research Director of the Northwestern University Emergency Medicine Residency and has authored over 35 scientific articles. Dr. Malik is a sports medicine physician and emergency physician who practices at Northwestern Memorial Hospital in Chicago, IL, USA. He earned a BA from Kent State University and an MD from Northeastern Ohio Universities School of Medicine. He completed residency training in Emergency Medicine at Northwestern Memorial Hospital in Chicago and a sports medicine fellowship at Resurrection Hospital In Chicago.